Freefall and Miles + Cal are coming to OUTtv. The hit web series Freefall and Miles + Cal, and Lamont Pierré's feature film Talking with the Taxman About Poetry, signed a deal to partner with OUTtv to broadcast overseas! OUTtv is a European and Canadian gay TV-network. They broadcast in the Netherlands, Sweden, Belgium, Luxembourg, and have co-operations with OUTtv Canada. OUTtv brings a mix of (internationally) successful TV-shows, (art-house) films, TV-series, reality shows and documentaries. One of the most successful LGBT-themed web series, Freefall has cemented its place in history. The Atlanta-based series initially launched in 2012 and now forty episodes and three seasons later, this groundbreaking crime drama is still going strong garnering new audiences each year domestically and across the seas. The series follows a group of friends and associates as they are gradually pulled into the intoxicating allure of Atlanta street life while trying to maintain their various inter-personal relationships. In 2013, the series ventured outside of its homebase and shot a dramatic bonus episode in Miami. The series has screened in venues across the country and has ventured into merchandising most notably DVD sets and a loungewear line. In 2014, the series introduced its #SexyCanBeDangerous sexual health campaign advocating for communication in sexual relationships. Miles + Cal debuted in 2015 to an enthused fanbase. This quiet and introspective arthouse series follows a love story between a homeless college dropout and a lonely graphic designer in the city of Los Angeles. 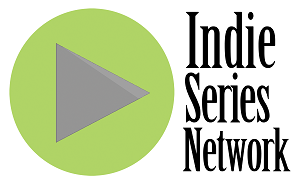 The series has been praised by its fans for its realistic pacing, stark honesty and poetic style complete with a blues trumpet-based original musical score by Mark Kueffner. Filmmaker Lamont Pierré's arthouse feature film debut Talking with the Taxman About Poetry puts a love of classic literature and poetry on full display. The film starring Kareem Ferguson, Steph Jones, Diarra Kilpatrick and Vanessa Simmons premiered in 2013 at the famed Egyptian Theatre in Hollywood, CA for the Outfest Fusion Film Festival and at the long-running Pan African Film Festival in Inglewood, CA. From drama to comedy and from entertainment to the latest news: OUTtv always goes beyond. 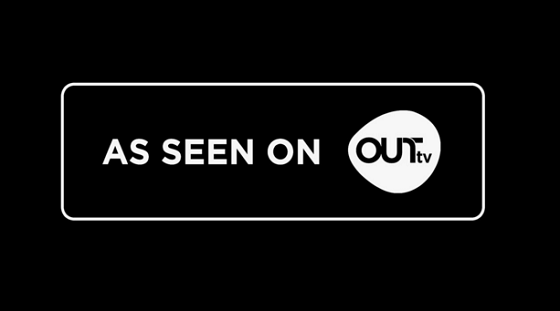 A choice for OUTtv is a choice for a trendsetting audience which loves original products and out-of-the-box mindset. Not only TV, but also via online platforms, events and printed media, OUTtv distinguishes itself with ‘lifestyle with an attitude’ and that works. I love the space here. I attended an amazing event at venues in Chicago and I ate more than I should. I had bread pudding, apple crisp, waffles and strawberries and cream. The main floor is very large and good size without being overwhelming, also there's tons of bar space too to order drinks.